Stuart has a long association with Nature in Tidewater, Virginia. With his father, he trapped nutria in Back Bay. Vocationally he was the first-ever biologist with the Virginia Mosquito Control Commissions, entomologist with the Va. Dept. of Health, and high school biology, oceanography and physics teacher. 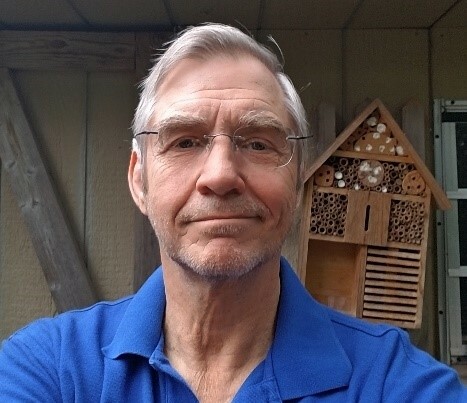 Since being retired, he has become a Master Naturalist, a pollination researcher at Norfolk Botanical Garden, an entomology participant in bioblitzes, and a program speaker for the Northwest River Park 4-H, the Virginia Aquarium and the Tidewater Master Naturalists . He is currently an advisor for the Tidewater Junior Master Naturalists and is planning a Pollination workshop for the Old Donation School for the Gifted and Talented. Through all of this he has ardently pursued his hobby of wildlife photography.